Today, Renegade Kid announced a new game for the Nintendo 3DS eShop called Xeodrifter. In a series of Developer Diaries, the game’s designer and creator Jools Watsham will give you weekly updates into the creation of the new metroidvania game. I am a huge fan of Super Metroid, Metroid Zero Mission, and Castlevania: Circle of the Moon, and have always wanted to develop a game in that sub-genre. The day finally came where the desire to develop it got too strong and I just had to act on it. Xeodrifter was born. It is completely separate from Moon Chronicles, and related in no way at all. Xeodrifter is a separate character and story. 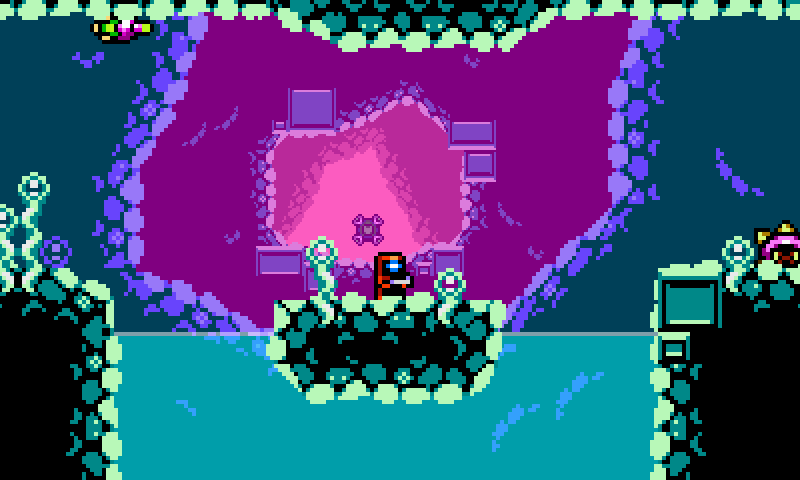 And don’t worry; we will get back to Treasurenauts once Xeodrifter is completed. Xeodrifiter is a 2D science fiction platformer and you travel planet to planet in a small cluster of four planets as you try to repair your warp drive. The release date hasn’t been announced yet , and seeing that this diary was made a month ago, I won’t be surprised if we will see a gameplay trailer to Xeodrifter next week at Gamescom. Renegade Kid is an indie development studio that has had success on the Nintendo platforms and is known for developing Mutant Mudds Deluxe, Dementium: The Ward, Moon, and Dementium II. They also have several games coming out later like Moon Chronicles and Treasurenauts. Mutant Mudds Deluxe has also found its way into the PlayStation systems this year. I love Metroidvania type games, so seeing a new one makes me curious of what it will be like. Now that I got a 3DS I could finally play some of Renegade Kid’s games like Moon and the Dementium games. Jesse Webster is a Senior Writer at MONG and he’s still stuck on capturing a monster alive. You can find him on Twitter.